When you want to make a quiche or tart that contains a wet filling this is the ideal recipe. To make the savoury shortcrust pastry In a large bowl, combine the flour and salt. Work the butter into the flour using a pastry blender or two knives, until there are small pieces of butter the size of peas. Mix together the water and lemon juice in a measuring jug. Gradually add the water and lemon juice, lifting and turning the flour mixture using a spatula or a bowl scraper to prevent one part from becoming wetter than another. Add water more water if needed, a spoonful at a time, just until the mixture holds when pressed between fingers. Pat the chunks together to form two discs. Cover in plastic wrap and refrigerate the dough for at least 30 minutes. 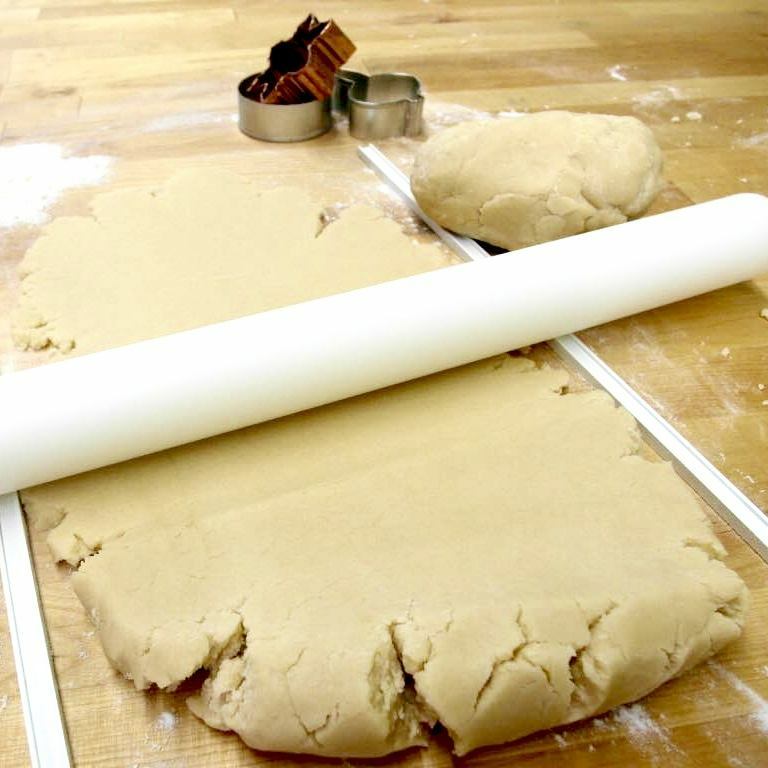 If you refrigerate it too long then it will be difficult to roll the dough out. Roll out the dough on a floured work surface or between two sheets of parchment paper to about 3 to 4-mm (1/8-inch) thick. Use the dough to make one large shell or line two 23 to 25-cm (9 to 10-inch) pie plates. In a food processor, whizz the flour and salt. Add the butter. Pulse for a few seconds at a time until the butter has been cut up to the size of small peas. Add the water and pulse again until the dough is just beginning to form in the bowl – this does not take long. Add water, if needed. Remove the dough from the food processor and form two discs, not balls. It makes it easier to roll out. Tip: Over mixing and very warm hands will melt the butter particles. This will result in a pastry that is greasy and does not have the coveted crispy texture of a short crust pastry. Keep mixing to a minimum. To keep pastry nice and crisp brush the surface with egg white. Pre-bake in a preheated oven of 160 C or 325F – if you do not have a convection oven increase the heat to 180C and 350F for 15 minutes.